Once the train which had left them on the platform had drawn out, the man and woman trod separately up and down, read time-tables in turn, were conscious of one another in the way that strangers are, when thrown together without a reason for conversation. A word or two would have put them at their ease, but there were no words to say. The heat of the afternoon was beyond comment and could not draw them together as hailstones might have done. They had nothing to do, but to walk up and down or sit for a moment on the blistering-hot, slatted seat. The Novel: A man and woman, complete strangers to each other, find themselves sharing a deserted railway platform on what appears to be an ordinary English summer afternoon. They're bored, hot and eager for their train to pull in so they can board it and hopefully reach their destination –– the quiet village of Abingford –– before nightfall. Then an event occurs which binds them to each other in a way that neither could have foreseen prior to their arrival at the station. Without warning, an unknown man jumps from the overhead rail bridge into the path of an oncoming express train. Unfortunately he misses the engine, breaking his back and dying a slow painful death outside the station-master's office while a small crowd gathers round to watch. The woman, Camilla, is naturally horrified by the incident, while the man –– a war veteran and would-be writer named Richard Elton –– seems curiously unmoved by it, almost dismissive of what might have prompted the man to take his own life in such a gruesomely public fashion. Nevertheless, Camilla finds herself attracted to Richard as they sit in their now-moving carriage chatting with each other, deliberately and self-consciously trying to put the tragedy behind them. Is this the unexpected beginning, she wonders, of the holiday romance she's always dreamed of having with a handsome stranger? How will her friends Liz and Frances react if she spends the holiday she's supposed to be spending with them being wined and dined by this dashing young ex-Army commando? Underpinning Camilla's fantasy is the unwelcome knowledge that she's approaching middle-age, that this may well be her last chance to find a husband before she becomes the spinster she has always feared she is destined to become. Camilla arrives in Abingford to find Liz waiting for her at the station with her new baby. She says goodbye to Richard and soon finds herself drawn in to the familiar holiday world of life in Frances' house. Frances, a painter and Liz's former governess, is her stubborn inscrutable self while Liz seems overly preoccupied with her baby and the difficulties she's having understanding and communicating with her husband –– a stuffy Anglican clergyman whom she's no longer certain she loves or should have married. Camilla feels excluded from her friends' lives, isolated as much by her fears that her own life is passing her by as she is by their inability to comprehend the significance of what she and Richard experienced on the railway platform together. Feeling lonely and a little depressed about returning to her everyday life as a teacher at a girl's school, she's only too glad to let Richard buy her a drink when they meet by chance in the local pub a few days later. He charms her with his easy grace and talk of the struggles he's having to start his book, their mutual loneliness suggesting that a more intimate relationship might be on the horizon –– a hope that's dashed a few nights later when Camilla spots him squiring another woman around town and returns alone to Frances' house determined to have nothing more to do with him. The arrival of film director Morland Beddoes –– a collector of Frances' work who's always revered her even though they've never met –– appears to offer some respite from the ennui that seems to be overtaking the lives of the three women. 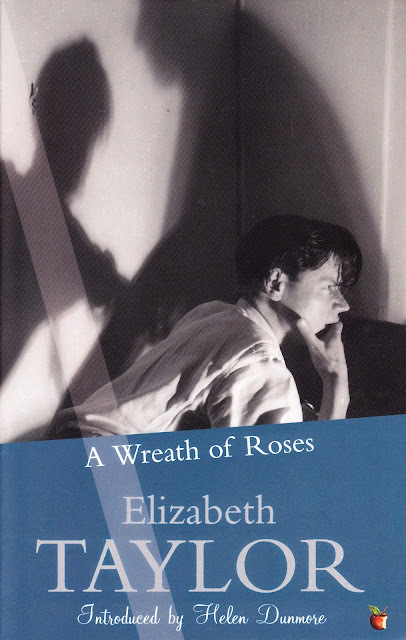 Liz can't seem to get through to her husband or accept the role of mother and housewife which has been thrust upon her by marrying him, while Frances continues to question the value of her art and battles to deny the effects that old-age and recurring thoughts of death are having on her creativity. Richard, in the meantime, is gradually revealed to be the liar and dreamer he's secretly been all his life, confessing to his diary all the failures and unfulfilled longings that his charm and good looks have allowed him to keep so well hidden from the world up till now. He's attracted to Camilla, it turns out, not because he wants to sleep with her but because he possesses no sexual desire for her whatsoever. He's far from being the prospective suitor she still imagines him to be, as a walk they take together –– during which he explains that his interest in the other woman was only physical and they're forced to take shelter in an abandoned tea shop during a storm –– all too soon reveals. Nothing is resolved and Camilla remains as uncertain about her future at the end of her holiday as she was when it began. In her introduction to the 2011 Virago edition of A Wreath of Roses, Helen Dunmore makes the point that the book is set in a time when 'The aftertaste of World War Two is still on everybody's tongue.' It's an important statement to consider when reading the novel and one which permeates it in an insidious, albeit far from obvious way. The post-war era was a time of great deprivation and even greater uncertainty for most people, particularly if they were English or European and especially if they happened to be women. Many men –– husbands, fathers, lovers, brothers –– had perished in the war and the role women would be allowed (the word 'allowed' is deliberately chosen in this context) to play in the building of the new, allegedly better peacetime society had yet to be defined or even intelligently discussed. Marriage and motherhood had suddenly become luxuries, akin to the butter, meat and eggs that were still being rationed by the newly elected Labour government to help repay Britain's economy-crippling war loans. Add to this the myriad of social and psychological difficulties faced by thousands of returning soldiers –– men for whom violence had now become an everyday occurrence and whose inability to cope with the sudden wrench back to civilian life frequently expressed itself in what would nowadays be called 'dysfunctional' or even 'psychotic' behaviour –– and the prospects of a middle-aged woman finding a man to love and marry were grim to say the least, a fact which assumes a more sinister significance given that the character of Richard was allegedly based on real-life British con man and murderer Neville Heath who charmed his two victims by pretending to be a decorated soldier before sexually torturing and then brutally murdering them. Heath was hanged for his crimes in 1946 but the memory of what he did, and the psychopathic narcissism which drove him to it, would remain firmly fixed in the public consciousness for decades to come. Taylor's gifts as a novelist were so immense, her eye for the subtle yet telling detail so unerringly accurate, that it seems impossible her work could have been so unjustly overlooked for so long. 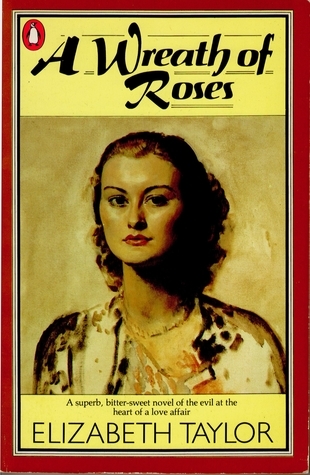 In addition to writing beautifully and very movingly about nature –– so much so that the natural world becomes a kind of unnamed extra character in A Wreath of Roses, adding another dimension to its never quite specified yet palpable sense of menace –– she also possessed a rare power to lead the reader deeply into the lives, fears and thwarted desires of her characters, all of whom she drew with an idiosyncratic and uncannily successful mixture of compassion, humour and clear-sighted honesty. While A Wreath of Roses is perhaps not her best-known novel, it ranks alongside Carson McCullers' The Heart is a Lonely Hunter and Sherwood Anderson's 1919 masterpiece Winesburg, Ohio as one of the most valuable studies of human isolation ever committed to print, a novel as memorable for its masterful blending of ambivalence and duplicity as it is for its probing social realism. The Writer: In her 2002 memoir Slipstream, novelist Elizabeth Jane Howard recalls her first meeting with Elizabeth Taylor, whom she'd been given the task of interviewing live-to-camera for a 1960s television program called Something To Read. Elizabeth Taylor (née Coles) was born in Reading on 3 July 1912, the daughter of an insurance inspector and a housewife. 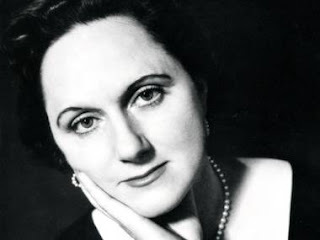 She was educated at the Abbey School in Reading and worked as a governess and then as a librarian before meeting her businessman husband, John Taylor, and marrying him in 1936. Soon after their marriage they moved to the town of Penn, in Buckinghamshire, where they would live for the rest of their lives. Unusually for someone who lived in such a parochial, upper middle class community, Taylor became a member of the Communist Party and remained an unapologetic Labour supporter for the rest of her life. It was during her time as a Communist that she met and fell in love with a man named Ray Russell –– an affair which endured, despite his imprisonment in a German POW camp and other separations, for twelve years. The letters she and Russell wrote to each other, which miraculously survived Taylor's edict that all her correspondence should be burned after her death, were quoted by Nicola Beauman in her 2009 biography with the full consent of Taylor's husband, who knew of the affair and apparently gave Ms Beauman his permission to use them. Taylor's children, however, thought this a shocking betrayal of their mother's wish to protect her private life and angrily disassociated themselves from the project, delaying the book's publication by several years. Despite this whiff of scandal, Taylor seemed to exemplify Gustave Flaubert's maxim that a writer should be 'regular and orderly' in their lives so they could be 'violent and original' in their work. She published her first novel, At Mrs Lippincote's, in 1945, by which time she had given birth to her children and settled in to what must have seemed to many of her 'literary' friends –– who would eventually include fellow novelists Elizabeth Bowen and Ivy Compton-Burnett (who once described her as 'a young woman who looks as if she never had to wash her gloves!') and the critic Robert Liddell –– a life of bland, even stifling domesticity. She wrote, she said, 'slowly and without enjoyment' and liked to plan out her novels 'while doing the ironing.' She disliked 'much travel or change' and said that she preferred the days 'to come round all the same… week after week.' Yet she created a body of work –– twelve perfectly crafted novels, five story collections and a children's book called Mossy Trotter –– that are as artful, evocative and original as anything published in the English-speaking world between the end of the World War Two and the mid-1970s. Taylor's failure to reach a wider public was a combination of her almost pathological shyness, her decision to consciously shun all but the most basic publicity and the widely-held misconception that her novels were 'too domestic' to merit serious critical attention. Nor did it help that she had a much more famous namesake who happened to be the most headline-grabbing, extravagantly paid movie star of her era. But Taylor had her revenge of a sort, describing the star, funnily and a little cattily, as 'the blowsy Mrs Burton' in her penultimate 1971 novel Mrs Palfrey at the Claremont. Taylor was diagnosed with breast cancer in the early 1970s and agreed to undergo a mastectomy in the hope that the operation would help prolong her life. Unfortunately, the procedure failed to permanently halt the spread of the disease and she died in Penn, at the age of sixty-three, on 19 November 1975. Her final novel, Blaming, was published in 1976. Several film adaptations of her work have appeared in recent years, including Angel (2007) directed by François Ozon and featuring Romola Garai in the title role and Mrs Palfrey at the Claremont (2005) starring Joan Plowright and Rupert Friend. The work of ELIZABETH TAYLOR has undergone a long overdue revival in recent years, with the UK publishing house Virago reissuing all twelve of her novels and the first-ever collection of her complete short stories (published in June 2012 to mark the hundredth anniversary of her birth) in handsome new editions featuring specially-commissioned introductions written by her friends and admirers (or, in the case of the story collection, by her daughter JOANNA KINGHAM). Click HERE to read the 2007 article by BENJAMIN SCHWARZ in The Atlantic which began this revival of interest in her work. 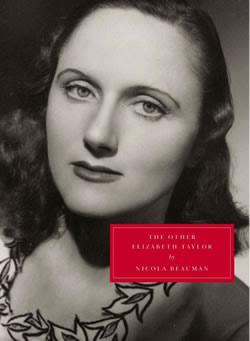 The controversial 2009 biography –– The Other Elizabeth Taylor by NICOLA BEAUMAN –– should still be obtainable via your local library, bookstore or preferred online retailer. You can also click HERE to read a thought-provoking review of A Wreath of Roses by SIMON THOMAS on his excellent literature blog Stuck in a Book. Those interested in such things may also wish to click HERE to read more about the life and crimes of 1940s British murderer NEVILLE HEATH, who was also the inspiration for the character of Ernest Ralph Gorse, protagonist of a series of remarkable novels by PATRICK HAMILTON –– including The West Pier (1951), Mr Stimpson and Mr Gorse (1953) and Unknown Assailant (1955) –– collectively known as The Gorse Trilogy. I am the author & sole copyright owner of all the original material published on this blog. The obvious exceptions are the images and quotations which accompany each post. These are posted for illustrative &/or discussion purposes ONLY and will be removed immediately if I receive a request to do so in my Comments or via email. This blog does not provide unauthorized downloads of the books that I discuss. Nor does it provide other unauthorized downloads of any kind. This is a 100% non-profit enterprise. Copyright © 2011–2019 Bentley Rumble/Cumquat Productions. All Rights Reserved. 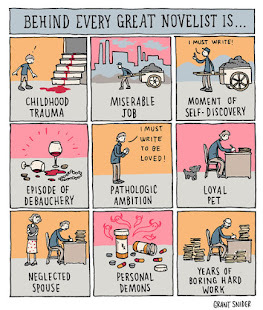 Visit INCIDENTAL COMICS to read more great comics by GRANT SNIDER. All original material Copyright © 2011–2019 Bentley Rumble/Cumquat Productions. All Rights Reserved. Powered by Blogger.